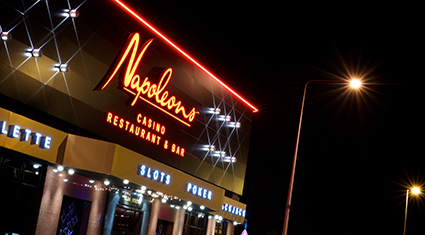 A week or two ago Alex and I were invited to Napoleons Casino and Restaurant in Hull for some delicious food and a lesson in gambling! After a long week in work it was really nice to be greeted on entry and taken to the bar for a complimentary drink while our table was being prepared. Once the table had been made for us we were taken over and given the the little packs in the picture above. As you can see this had our £5 chip in that we changed later on in the night as well as some guides on how to play some of the tables. 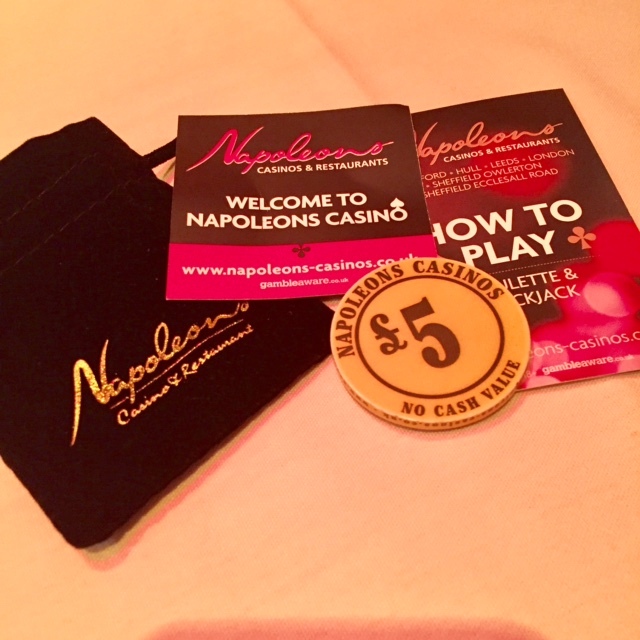 We were also given another drinks token each which we weren't expecting. 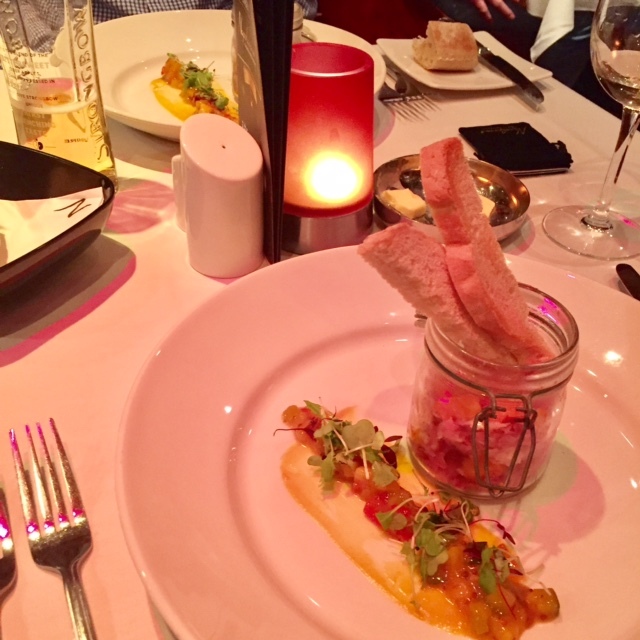 Everything on the menu sounded really nice, but we both settled on the Potted Ham Hock, Piccalilli vegetables and Sour dough toast for our starter. 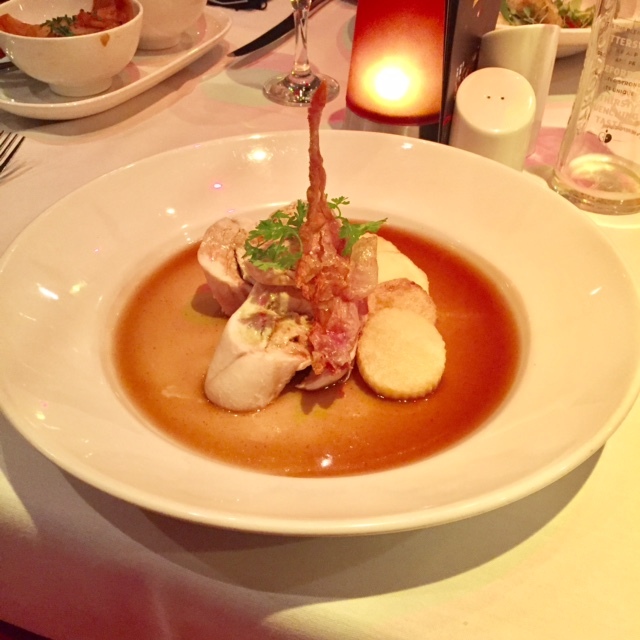 For the mains, Alex pretty much always orders a fish dish and this time was no different. 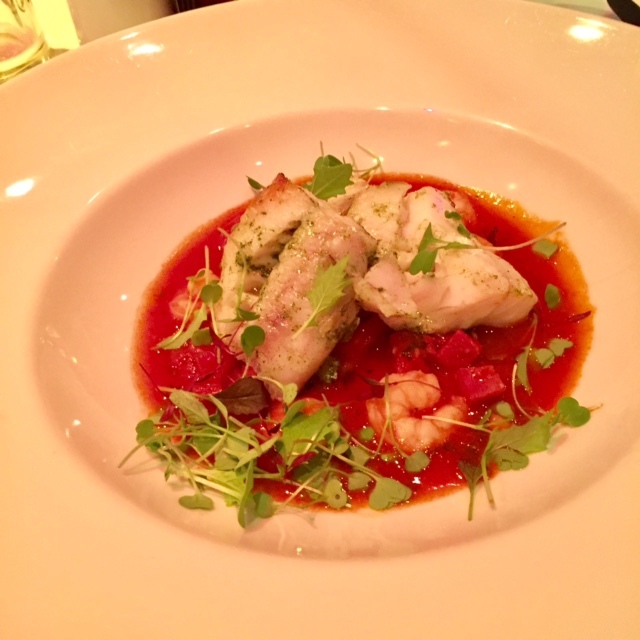 She had the Herb rolled loin of Cod with a King Prawn, Chorizo, and tomato broth while I went for the Roast chicken breast stuffed with sage and onion, crispy chicken crackling, and duck fat roast potatoes. When it comes to desserts, we tend to order one that both of us like and split both of them so that neither one of us could get food envy. 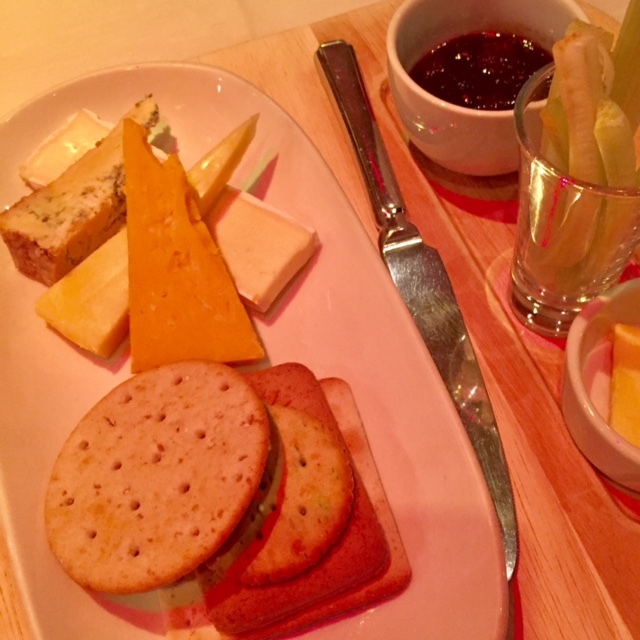 When there's a cheese board on offer, you can pretty much guarantee that it will be one of our options, but for the other we went for the warm lemon drizzle cake with lemon curd ice cream and limoncello syrup. 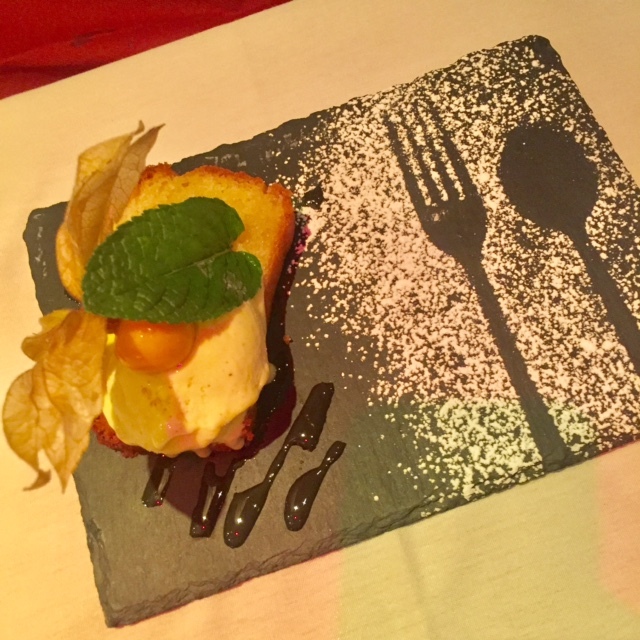 I'll be honest, I love cheese and I love lemon drizzle cake but the showstopper for me here was the lemon curd ice cream! I thought it would be a bit too sweet for me, but it tasted amazing - I could have eaten a bowl full of it! After we'd finished eating we then headed into the main room to try our hand on a couple of the tables. 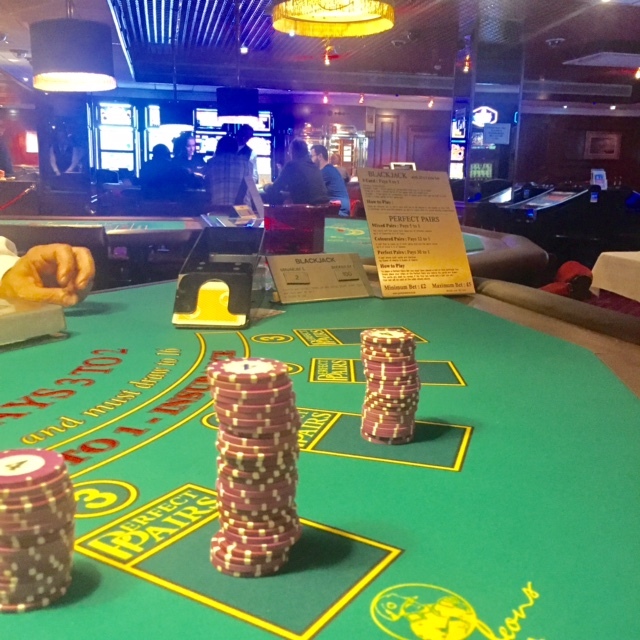 We've both been to casinos before and played the odd game of Roulette, but if truth be told neither of us were that confident and we hadn't played anything else before. We both said that we almost felt a bit nervous in casinos as we weren't sure what the etiquette was and were worried about doing something that you shouldn't. 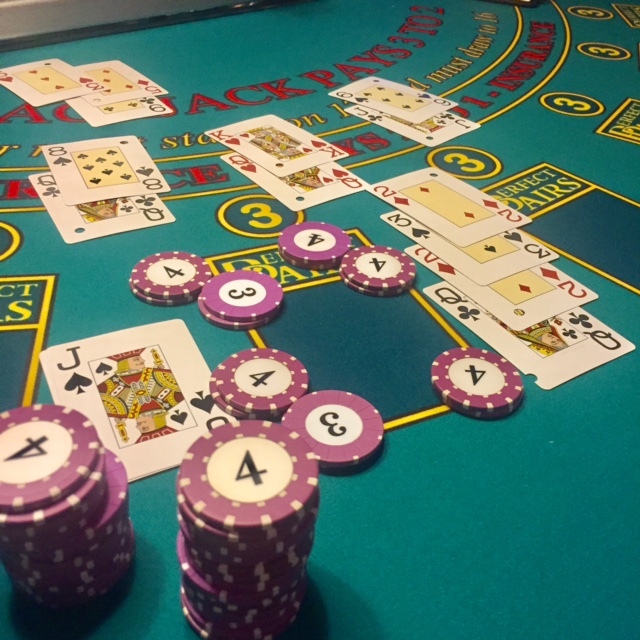 We decided that we wanted to try Blackjack for a change so sat for a demonstration with one of the Croupiers. Ash was incredibly patient with us while he went through all the rules of the game and gave us a few sample scenarios to build our confidence. After badgering him for about 45 minutes we decided to let the poor guy go and try some real gambling. We still didn't do amazingly by any means, but after being shown how to play we definitely felt more confident and had so much more fun on the tables. We actually stayed in there for a while after we'd spent up just to watch others play. Having been in there on a couple of occasions, I'd definitely say that I enjoyed this time the most. For the first time I felt like I could actually enjoy my time as you're supposed to. All in all it was a great night out and something a bit different to do. We both loved it and would definitely recommend it! I don't think it'll be too long before we go back again and hopefully we'll have a bit more luck on the Blackjack table! 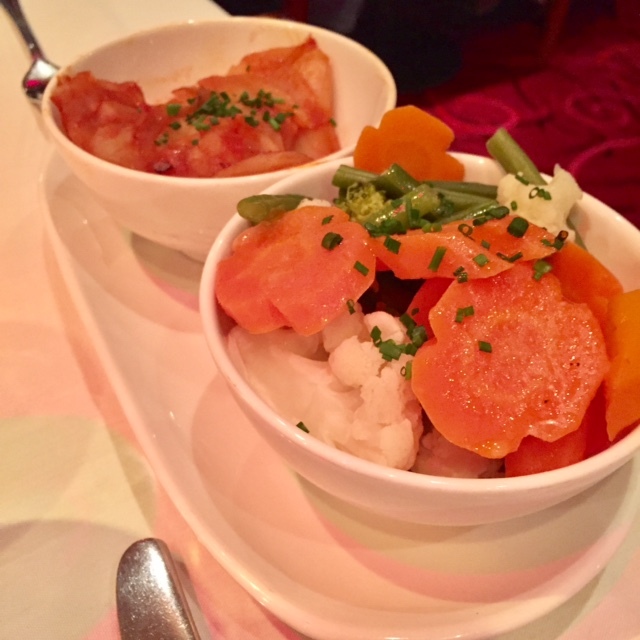 *We were gifted the Dine in Style package in return for a blog post, but all opinions are our own.